Bakanal de Afrique (BdA) is Afro Urban Society’s biennial multidisciplinary Afro Urban festival that celebrates the many histories and traditions blended into the odyssey of the African Diaspora through our art and culture. From its birth in 2009, Bakanal de Afrique was intended to be a cultural phenomenon that stretched the length and breadth of the world, and united Urban Africans in a very unique way. The Stage Lighting Tech Fellow is mentored and trained by Dance Mission Theater’s in-house Technical Director, Harry Rubeck in introductory and intermediate basics of stage lighting production, with an opportunity for fieldwork working the load-in, run, and strike for Afro Urban Society’s production, ‘Bakanal de Afrique: What Had Happened Was…’, November 16-17, 2018 at Dance Mission Theater. 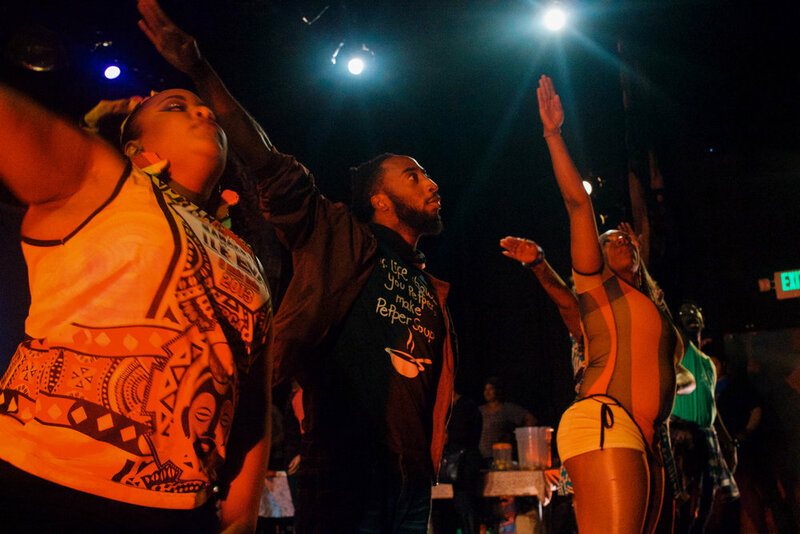 The Stage Lighting Tech Fellowship has emerged from years of conversations between Black Choreographers Festival, Dance Mission, and Afro Urban Society about what would better our field. Our collaborating team is passionate about expanding the opportunities for womxn and people of color in stage production, and is committed to creating accessible, professional, and relevant skill sets that live up to our high standards of production. This fellowship is appropriate for people interested in the technical aspects of being on a production crew and specifically lighting design. Required Practicum production dates - All held at Dance Mission Theater (3316 24th St, SF). This program includes training sessions, practicum, field research and professional connections. Session 2: How to hang and secure lighting fixture, how to a focus lighting fixture, how to cut and prepare gel, how to make a circuit/ patch sheet. Session 3: Review of previous skills, Learn how to execute making a cue on the light board and to record it. Session 4: Mini ‘practice’ plot to hang and focus, write and practice cue sequences. Learn how to prepare and focus a floor mount. Introduction to running sound cable. Review as necessary. 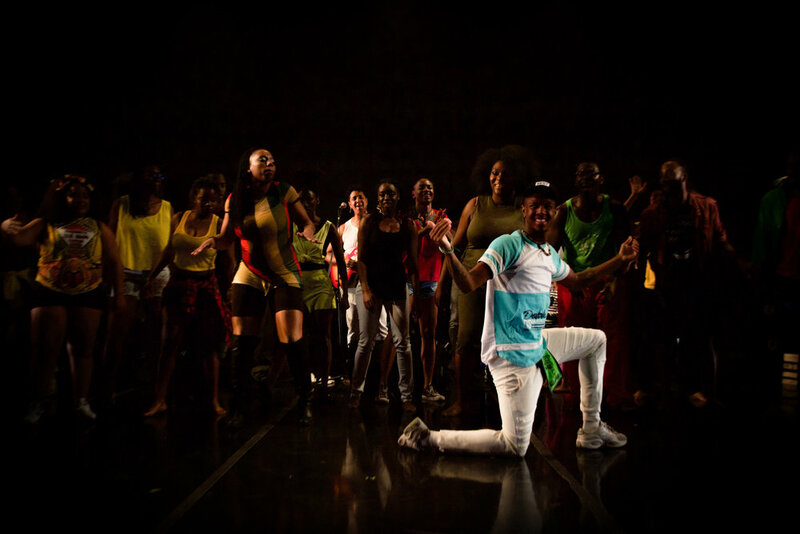 Practicum Session: Working the load-in, run, and strike for Afro Urban Society’s production, ‘Bakanal de Afrique: What Had Happened Was…’, November 16-17, 2018 at Dance Mission Theater.